This is an update to my original Langton's Ant project. 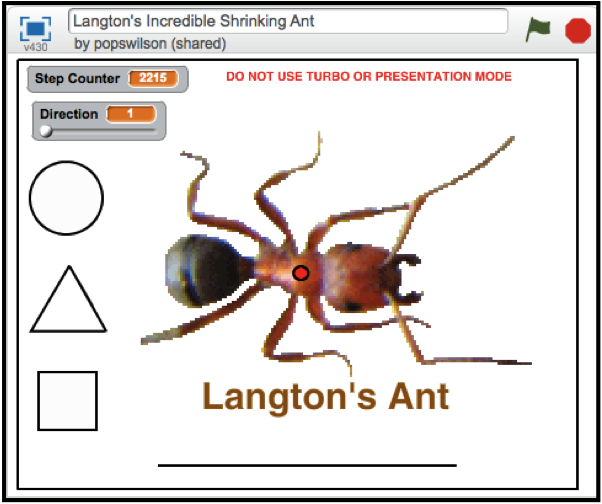 This update now allows you to experiment with Langton's Ant by placing the ant in a circle, square, triangle, or near a line segment. 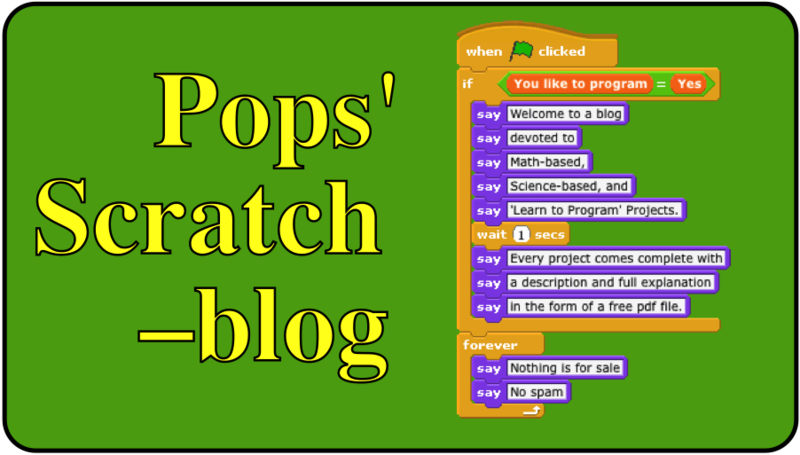 You can view and/or download this project by clicking on this link. As you can see in this screen shot, a circle, triangle, square, and line segment are on the home screen. Click on the green flag and then click on one of the shapes and drag it so that it traps the center of the ant (the small red circle). Or, click on and drag the line segment near to the red dot. Then click on the head of the ant. You will see the ant shrink to size of the grid it will be moving on and then start moving. How the ant will interact with figures in the plane is any ones guess because there is no way to predict the pattern the ant will create when it interacts with another figure. Changing the Direction the ant starts in is another variable. Over the years I have collected several interesting and surprising figures created when the ant interacted with one or more figures. For a fascinating discussion about Langton's Ant download and read the following article.